The following represent frequently asked questions regarding DICO deposit insurance coverage. Who pays for this deposit insurance? How do I apply for deposit insurance? Can I buy additional deposit insurance? Do I have to be a member of a credit union or caisse populaire to be covered? How will I know that my credit union or caisse populaire is insured by DICO? What types of accounts are covered? Which institutions are not insured by DICO? How much are my deposits protected for? Do I have separate coverage if I have deposits at more than one credit union/caisse populaire? If I have deposits in separate branches of the same credit union, is each deposit insured separately? In the unlikely event that my credit union goes out of business are my deposits still protected? If I open two deposit accounts one in the name of John H. Jones and the other J. Jones, are both accounts insured separately to a maximum of $250,000 each? Is my term deposit or GIC with a 10-year term covered by deposit insurance? What types of deposits are NOT covered? Is my foreign currency account covered by deposit insurance? If I am a member and have deposits at an Ontario credit union or caisse populaire and I subsequently move out of province, are my deposits still covered by DICO? If I have a joint account and I am the primary account owner with my spouse on one account and I am a joint account owner with my spouse as the primary account owner on a second account, are they each insured separately? Does DICO insure deposits held in trust? What is the definition of a business for the purposes of deposit insurance protection? Does the number of signatories on a business account increase the amount of deposit insurance protection? How is the limit for deposit insurance protection calculated for deposits held in the name of a business? How is the deposit insurance protection limit calculated for sole proprietorships? 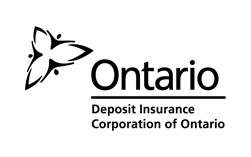 The Deposit Insurance Corporation of Ontario (DICO) is an agency of the Province of Ontario with a mandate to insure deposits held by members of credit unions and caisses populaires incorporated in Ontario and act as a prudent regulator of credit unions and caisses populaires as per the Credit Union and Caisses Populaires Act. The Board of Directors is appointed by the Minister of Finance as per the Credit Union and Caisses Populaires Act. DICO insures the deposits of members of credit unions and caisses populaires that are incorporated in Ontario. All credit unions and caisses populaires are governed by the Credit Union and Caisses Populaires Act and must be insured by DICO to operate in Ontario. Deposit insurance provides protection for eligible deposits held at credit unions in the unlikely event that it goes out of business. Each Ontario credit union is required to pay premiums to DICO for deposit insurance protection. It is not necessary to apply for deposit insurance. You are automatically covered when you become a member of a credit union and hold deposits there. No. Additional deposit insurance protection cannot be purchased from DICO. Yes. You must be a member of the credit union and own the minimum number of membership shares required by the credit union. All credit unions incorporated in Ontario are required by legislation to be insured by DICO. Each is required to display the official (sticker) decal , which confirms that deposits are insured by DICO. Banks, insurance companies, trust companies, investment houses and deposit brokers are not insured by DICO. For information on the types of insurance available for these organizations please use the following link: Canadian Consumer Protection for Financial Institution Failures (CCPFSI). Non-registered demand deposits (savings accounts, term deposits, GICs,chequing accounts, certified cheques, money orders, drafts and funds in transit) in the name of an individual depositor are covered up to a combined maximum of $250,000 at each Ontario credit union. DICO also provides separate deposit insurance protection for deposits held jointly with other members and for deposits held in trust. All deposits held in registered accounts are fully insured (i.e. LIF, LIRA, LRIF, RRSPs, RDSP, RESP, RRIFs, TFSA). 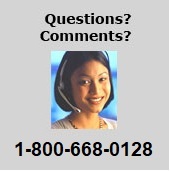 Do I have separate coverage if I have deposits at more than one credit union? Yes. Your deposits held at different credit unions are separately insured. No. Deposit insurance protection applies to the combined total of your deposits in any one credit union. In the unlikely event that my credit union goes out of business, are my deposits still protected? If your credit union or caisse populaire goes out of business, your deposits and accrued interest will be repaid by DICO in accordance with the prescribed maximum limits. If I open two deposit accounts, one in the name of John H. Jones and the other J. Jones, is each account insured separately to a maximum of $250,000 each? No. A variation of your own name on the ownership of an account is not considered a separate legal person and therefore would not be covered separately. Aggregate deposits in the name of an individual depositor of a credit union/caisse populaire is insured up to a maximum of $250,000. Is my term deposit or GIC with a 10 - year term covered by deposit insurance? Yes. All Canadian dollar term deposits (principal plus interest) or GICs regardless of the length of the term are eligible for deposit insurance coverage up to $250,000. No. Only Canadian currency deposits are covered. If I am a member and have deposits at an Ontario credit union/caisse populaire and I subsequently move out of province, are my deposits still covered by DICO? Yes. Your deposits will remain protected as long as you remain a member of an Ontario credit union/caisse populaire. No. Both accounts would be insured up to a combined total of $250,000 as the ownership combination of the account is the same regardless of who is the primary account owner on any particular account. Yes. DICO insures eligible deposits in trust accounts at each Ontario credit union up to a maximum of $250,000 for each named beneficiary of the trust. if there is more than one beneficiary, the portion belonging to each must be disclosed in the records of the credit union. If all above criteria are met and the deposits are considered eligible then, each beneficiary’s portion of the trust deposits is insurable up to a maximum of $250,000. For the purposes of determining deposit insurance protection, a business is defined as a corporation, partnership, association, registered charity or government. No. The maximum insurance protection is $250,000 for the business entity. DICO insures deposits of a business at each Ontario credit union up to a maximum of $250,000 for all business types, except sole proprietorships. Deposits for eligible business accounts are insured separately from deposits held in the names of any of the individual principals. Eligible deposits in the name of a business will be insured separately from eligible deposits in individual accounts or accounts in the name(s) of the business owner(s), if the business is a partnership or an incorporated business. “Sole Proprietorships” do not benefit from separate deposit insurance protection as they are not separate legal entities. As a result, deposits in the individual’s name will be combined with the deposits of the “sole proprietorship”. To be eligible for DICO deposit insurance, deposits must be payable in Canada, in Canadian currency, by an Ontario credit union. DICO provides deposit insurance protection for each individual depositor up to $250,000. The maximum basic protection applies to the total of all insurable deposits held at the same credit union. Basic deposit insurance protection applies to savings accounts, chequing accounts and term deposits including guaranteed investment certificates. DICO would provide full deposit protection if you held the following deposits in an Ontario credit union. DICO would provide deposit protection up to the $250,000 limit, if you held the following deposits in an Ontario credit union. Note: Deposits in the name of an individual over $250,000 are not insured. DICO would provide deposit protection for $45,000, if you held the following deposits in an Ontario credit union. Note: Mutual fund investments and foreign currency deposits are not insured. DICO provides separate deposit insurance protection for deposits held jointly with other depositors. DICO provides protection for all deposits held by the same joint ownership combination up to $250,000. The $250,000 limit applies to the joint owners collectively, NOT to each individual. If you have insurable joint deposits with another person or other joint deposits with a different joint owner(s) at the same credit union, these would be insured separately from each other to the $250,000 limit. DICO would provide full deposit protection for all deposits for Bob, $250,000 for Sara plus $250,000 for the deposits held jointly by Bob and Sara if they held the following deposits in an Ontario credit union. Note: Deposits in the name of the joint owners over $250,000 are not insured. DICO provides separate deposit insurance protection for deposits held in trust for other beneficiaries. Deposits held in trust must clearly indicate the beneficiaries to be eligible for separate deposit insurance protection up to $250,000. So long as each beneficiary is properly designated, each beneficiary is entitled to the maximum insurance protection. These deposits are also insured separately from deposits held by any of the beneficiaries in his/her own name. If there is more than one beneficiary of an insured deposit that is held in trust, the amount or percentage of each beneficiary's interest in the deposit must be disclosed in the credit union's records. DICO would provide full deposit protection for all deposits in your name plus all the deposits held in trust, if you held the following deposits in an Ontario credit union. In the example below, DICO would provide $250,000 of deposit protection for all deposits in your own name plus $750,000 of deposits held in trust for an account with three beneficiaries, if you held the following deposits in an Ontario credit union as outlined. Note: In this example each beneficiary’s share up to $250,000 would be covered. DICO provides separate unlimited deposit insurance protection for insurable deposits held in registered accounts. DICO insures deposits held in registered accounts separately from other non-registered accounts held in the depositor’s name. Each registered account is insured with no maximum. Note: the $60,000 RRSP with mutual fund investment is not insured. DICO would provide deposit insurance protection for the $250,000 held in your savings, chequing and term deposit accounts, plus $235,000 for deposits held in your registered accounts, if you held the deposits in an Ontario credit union as outlined above. DICO provides separate deposit insurance protection up to $250,000 for the deposits held in the name of a corporation, partnership or association. Each account must be designated on the credit union's records by name and the credit union must maintain copies of the appropriate supporting documentation. Deposits for eligible business accounts are insured separately from deposits held in the names of any of the individual principals. Note: Deposits of a Sole Proprietorship business are not separately insured from other deposits held in the name of	the	individual owner. DICO would provide deposit insurance protection for the $105,000 held in your individual account, plus the $250,000 for your business account, if you held the following deposits in an Ontario credit union. DICO would provide deposit insurance protection for the $250,000 held in the non-registered accounts. Funds held in your sole proprietorship business account are not insured separately from the accounts held in your individual accounts. Your registered deposits are fully insured.